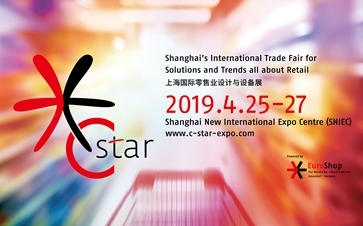 As the most professional and international retail trade show in China, C-star – Shanghai’s International Trade Fair for Solutions and Trends all about Retail has been successfully held for four editions since its debut in 2015. As the official satellite event of EuroShop – The World’s No. 1 Retail Industry Trade Fair, C-star features the inspiring and new solutions in Shopfittings, Store Design and Visual Merchandising, Smart Retail Technology, Lighting and Refrigeration system, builds up a great business platform for retail solution providers and retailers across the globe.